£1 million raised to help save tiny lives! In November 2016, the Noah’s Ark Charity embarked on a campaign to raise £1 million to support the life saving care given to premature and critically ill babies on the neonatal intensive care unit. 25 months on and on the 25th of December (Christmas Day!) we announced that, with your backing, we’d got there! This is our message to you………. We are beyond excited to have hit our £1 million target and absolutely delighted to say that your generosity is already being put to good use, saving tiny lives. Over the past two years we’ve had the honour of working with some incredible people. 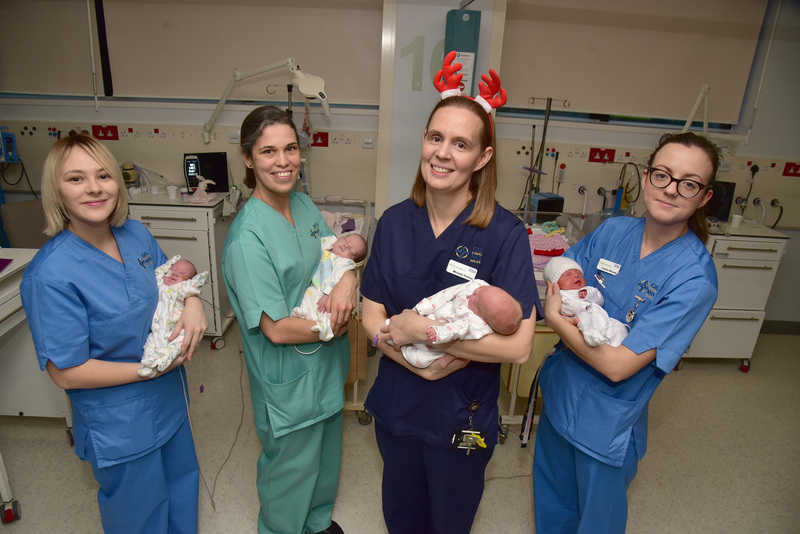 There’s the NICU staff, otherwise known by parents as ‘angels in scrubs’ for no small reason, the parents themselves who show such dedication and resilience in tremendously difficult circumstances and of course the babies, all amazing little characters in their own right. Our supporters have taken the Tiny Lives cause to their hearts and worked tirelessly to raise this amazing sum of money. The NICU journey is a tough one, both for the little patients and their families. But thanks to all those who has supported the appeal, we can safely say that the incredible team that work on the unit now have some of the best equipment possible to care for babies born premature and critically unwell. We’re also so pleased to now be able to fund support services for parents to make that tough NICU journey just that little bit easier. Thanks to you we can now support many more families like Theo’s…..
Baby Theo was born when his mum, Hayley, was just 26 weeks pregnant. He spent the first 100 days of his life on the neonatal intensive care unit where his parents came close to losing him several times. Their story below explains why they feel they owe so much to neonatal care and how the Tiny Lives Appeal will go on to help thousands of babies just like Theo. Now that we have hit our £1 million target, Tiny Lives will become a fund so that we can continue to support the neonatal intensive care unit as it develops and grows. Annabelle couldn't breathe at birth. She was diagnosed with CHARGE Syndrome and severe sight and hearing impairments. Born at 23 weeks of pregnancy, Edith wasn’t expected to survive. George suffered a vast range of serious and complex problems.